I remember feeling so nervous as the last one being dropped off to meet my host family in March of 2013. I was in Nottingham, England—3,984 miles away from home. It wasn’t my first mission trip so you would think that I’d be fine…but I was scared. And what made it scarier to me, was living in a stranger’s house for a week away from the team I came with. From what I knew, they were believers, and this wasn’t their first time hosting a student. But the whole experience was new to me and the nausea I felt was real. Within seconds of meeting my host family, my fears subsided, and I was welcomed in with love and kindness, hospitality and joy. They fed me wonderful meals, shared recipes with me, invited me to join them in watching some of their favorite TV shows while drinking tea, asked questions to get to know me, and sent me home with some lovely treats and a tea set that I still treasure today. It was a week that I will never forget and one of the best parts was experiencing such rich hospitality so far away from home. When my husband, Jonathan, and I felt called to start a Life Group, we had no idea what God would do. We just knew that we didn’t want to sit on the sidelines anymore—we were ready to step out and invite people in. In early spring of 2018, God brought people into our lives off and on who were around our age and looking for a place to belong within the church. Our group has grown and shifted from where it started, but we wouldn’t have it any other way. They are grateful to be invited into a home and into someone’s life and they mention this often. This act of opening our home started off being stressful for me, but something changed along the way: I valued having people in my home more than the state of my home. Sometimes my house is cluttered, sometimes it’s crazy clean. These people have gone from acquaintances to friends and I appreciate that they value the time together in a safe place more than the state of my home. The act of opening our home to our Life Group has changed our lives. One of the most amazing things to experience in this life is watching God move and work in the lives of those around you. Every week I am challenged and encouraged by them. Every week we grow closer to Him together and share that excitement with fellow believers who cheer one another on. Now those in our group are inviting others into their homes for guy’s nights, game nights, etc. Hospitality keeps on giving. This discipline of hospitality is learned. It isn’t a natural tendency for us and is something I still struggle with. Each time I experience the joy of hospitality, I am reminded of why this is something the Lord calls us to. Whether you are a practiced veteran of hospitality, or someone who doesn’t do this often, I just want to encourage you to pray for opportunities to practice hospitality. 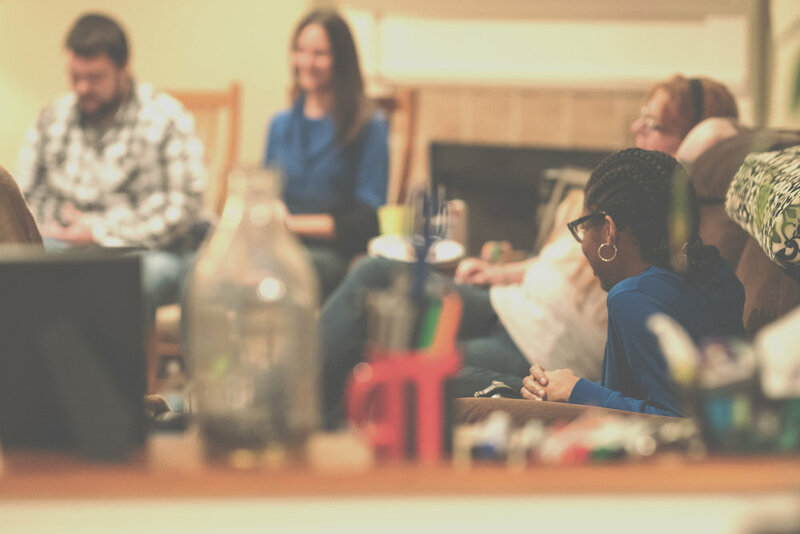 When we lay down our homes for the Kingdom’s purpose, amazing things can happen as we welcome new people, those in need, and fellow brothers and sisters into our homes and lives.